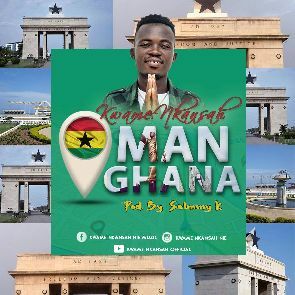 Singer Kwame Nkansah, singnee of Gab Concept, comes through with a brand new tune titled 'Oman Ghana'. The song speaks to the conscience as it advises on being responsible citizens. For discerning music lovers, this is a song that will definitely make it to the top of your daily playlist. Kwame Nkansah is a keyboardist, songwriter and a highlife artist who started music at the age of 7 as a drummer. Later he switched to piano at age 18, joined Semenhyia band at 19 and started doing active music on his own 5 years ago.